With articles by such luminaries as Susan Sontag, Dwight Macdonald, Siegfried Kracauer, James Agee, André Bazin, Robert Warshow, and Claude Chabrol, this anthology is the only single-volume source for important early writing on genre films. Much of the writing in film studies published today can be understood as genre criticism, broadly speaking. And even before film studies emerged as an academic discipline in the 1970s, cultural observers within and beyond the academy were writing about genre films and making fascinating attempts to understand their conventions and how they speak to, for, and about the culture that produces them. While this early writing on genre film was often unsystematic, impressionistic, journalistic, and judgmental, it nonetheless produced insights that remain relevant and valuable today. Notions of Genre gathers the most important early writing on film genre and genre films published between 1945 and 1969. It includes articles by such notable critics as Susan Sontag, Dwight Macdonald, Siegfried Kracauer, James Agee, André Bazin, Robert Warshow, and Claude Chabrol, as well as essays by scholars in academic disciplines such as history, sociology, and theater. Their writings address major issues in genre studies, including definition, representation, ideology, audiences, and industry practices, across genres ranging from comedy and westerns to horror, science fiction, fantasy, gangster films, and thrillers. 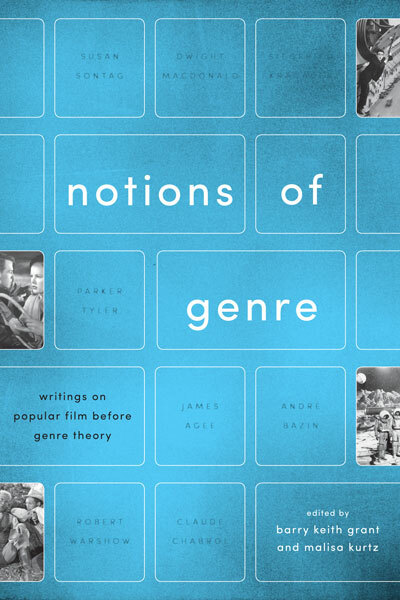 The only single-volume source for this early writing on genre films, Notions of Genre will be an invaluable resource for scholars and students of film genre, film history, film theory, cultural studies, and popular culture. Grant is a professor in the Department of Communications, Popular Culture, and Film at Brock University. Kurtz received her PhD from Brock University in Interdisciplinary Humanities.